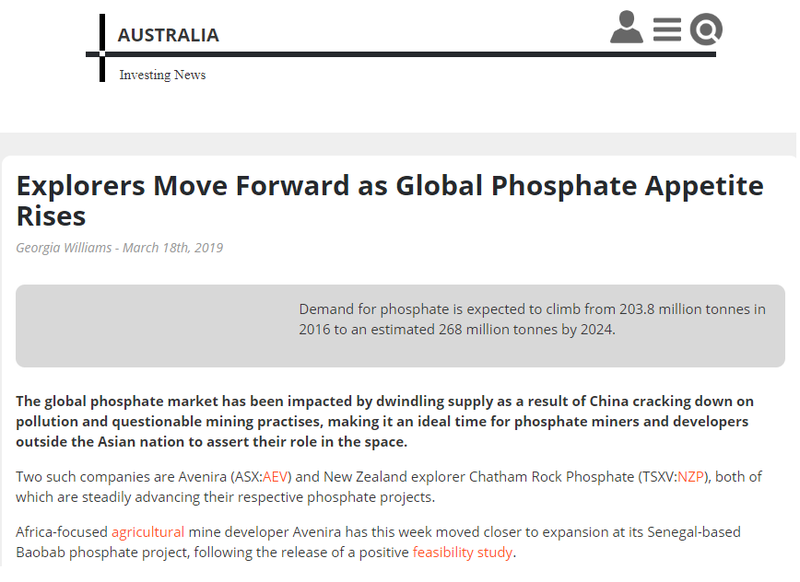 The global phosphate market has been impacted by dwindling supply as a result of China cracking down on pollution and questionable mining practises, making it an ideal time for phosphate miners and developers outside the Asian nation to assert their role in the space. Two such companies are Avenira (ASX:AEV) and New Zealand explorer Chatham Rock Phosphate (TSXV:NZP), both of which are steadily advancing their respective phosphate projects. Copyright ©2013 Chatham Rock Phosphate Limited. All rights reserved.